The DWCA Book Club is venturing into Doctor Who spin-off territory with its next title – the first in a new range of graphic novels for a series that, like its lead character, has a tendency to come back from the dead. 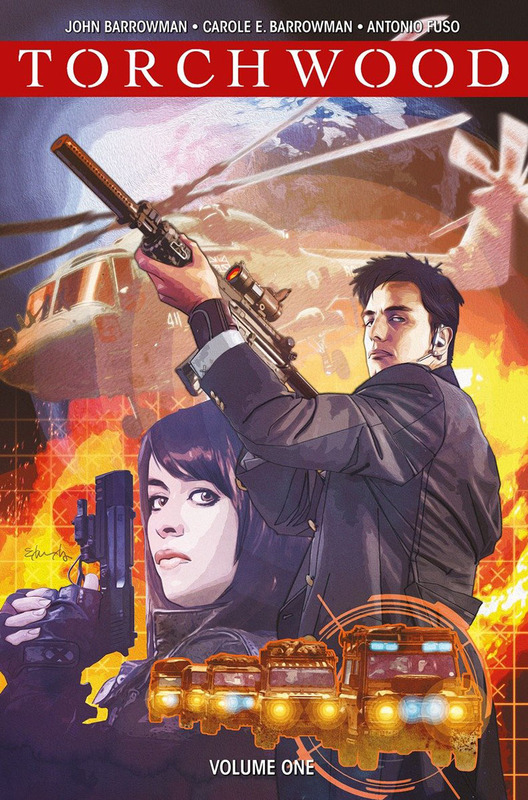 Written by John Barrowman himself alongside his sister Carole, Torchwood: World Without End sees Captain Jack Harkness and Gwen Cooper attempt to rebuild Torchwood Cardiff from the ground up. But after suffering an attack by extra-dimensional shock troopers, and with a deadly rift bleeding through into their own reality, time itself could be destroyed if the new Torchwood team aren’t able to stop it! If you’d like to share your thoughts on the book, you are invited to come along to our Book Club meeting on Friday 6 April, where discussion will be recorded for the official DWCA Book Club podcast. You can also comment on our Facebook page if you can’t make the event. Torchwood: World Without End is available from the DWCA Shop here, along with Volume 2 in the series, Station Zero. Torchwood fans can also pick up full-cast audio adventures from Big Finish Productions, featuring stories set before, during and after the TV series! Do you consider yourself something of an amateur critic? Send us a written review of the current Book Club title, and your words just may end up published in our club fanzine, Data Extract. What’s more, you will go into the running to win a $5 voucher to spend at the DWCA Shop!